Bunny painted onto canvas tote bag. Rabbit line drawing credit to Belle & Boo. 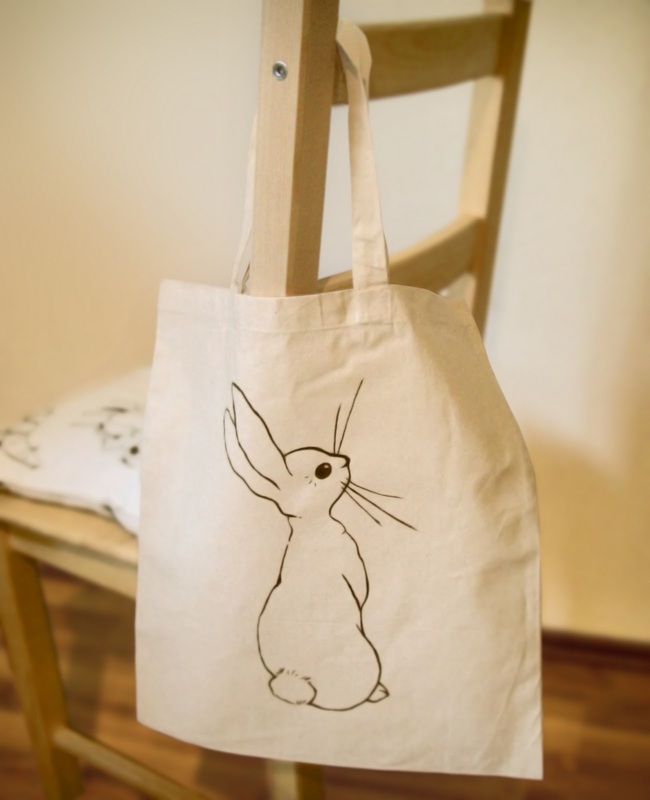 SIMILAR ITEMS NOW AVAILABLE IN MY SHOP – CUSTOMISABLE AND MADE TO ORDER!